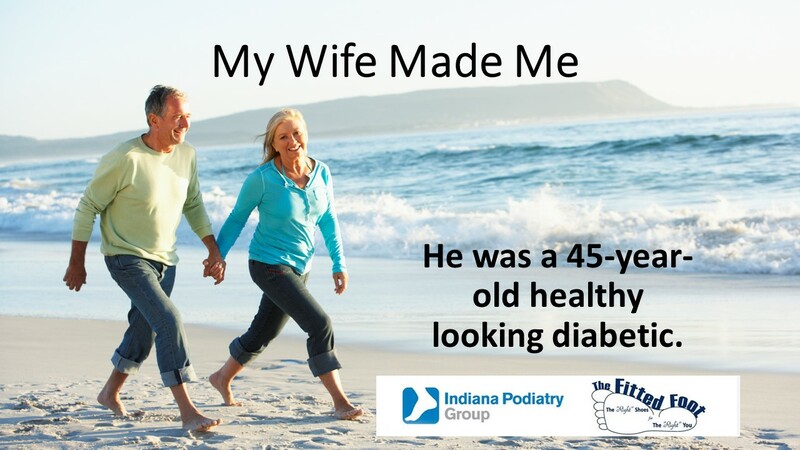 He was a 45-year-old healthy looking diabetic. He had a small wound to the side of his left great toe. He thought it was nothing, even stated so when I walked in the room. "Hate to waste your time doc but my wife made me come in". The sore did not look like anything much. It was no more than half a millimeter deep and smaller than half the size of a button on a TV remote. There was no redness or signs of infection; it was not draining and there was no odor. Simple enough, right??? He wasn't as healthy as he thought. His blood sugars had been in better control in more recent weeks but prior to that they had been elevated. Plus, he had a history of chewing tobacco. I call it the "1-2 punch". Diabetes and tobacco are a deadly combination. X-rays were taken and showed just a hint of calcification in an artery in the great toe.... nowhere else, and hard to see. Otherwise x-rays were normal. "I have to get back to work… Can’t you just put a dressing on it and send me on my way?" The wound was dressed but I sent him for a screening vascular test to see what his blood flow was in his legs and his big toe. This is a simple and painless test. Blood pressure cuffs are put around your leg above the knee and below it and one around the great toe. What was discovered was that he had calcification of a major artery in his leg. Treatment involved an angioplasty much like what is done in the heart where a catheter is put in the artery and at the site of the problem, the balloon is inflated which enlarges the artery and allows improved blood flow. This increased the blood flow to his great toe, which allowed the wound to heal and him return to his normal work and activities. This was but one example of the many vascular problems we see in our office regularly in our diabetic population. If you are diabetic and have even what you believe to be is a small wound, you need to have it checked out. Don't wait. It could lead to complications, infection and amputation.